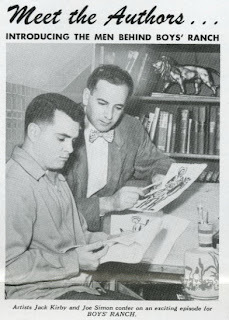 Today is a good day for a change of pace, so I thought it'd be a good time to delve into the archives and share some rarely seen items - and who better to share than the master's themselves: Joe Simon and Jack Kirby! What we have here are two cover proofs for the first two issues of the Simon & Kirby western series, Boy's Ranch, along with the related invoices from the printing plant and the inside cover proof for issue #2 (I believe it was), which has one of the earliest biographies of the Simon & Kirby team. This is worth a look just for the photo of a fresh faced, young Jack Kirby alone - butter wouldn't melt in his mouth. 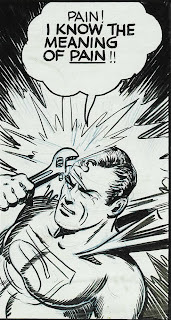 And how cheaply work was done back in 1950, at least from a printing point of view. 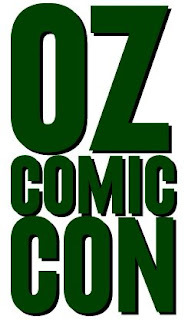 Oz Comic-Con: Raging Success or Raging Con-Job? I'm almost glad that I decided not to go, despite the lure of Stan Lee. It would appear that the organisers severely underestimated the popularity of Lee and Patrick Stewart - that's Captain Pickard or Professor X to you - as even those who bought pre-sold tickets can't get in to the venue, let alone get to where they've bought photo opportunities, signings, panels and the like. Added to that is the allegations that negative reports, complaints about the long lines and lack of communication have been removed from the conventions Facebook site, although the organisers have stated that the only comments removed were those featuring profanity. This hasn't stopped the social media and the media in general from reporting on the situation.